Fabulous opportunity only 5 km from the beautiful sea in the ​​northern Sardinia. Welcome to the house of the real estate in Sardinia Island. 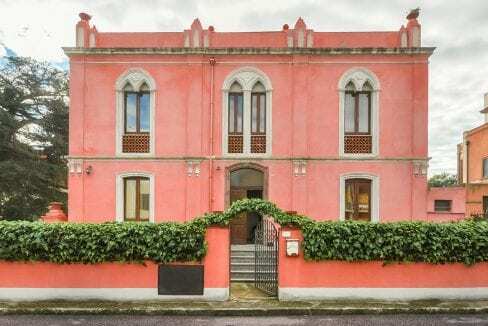 Here at Move to Sardinia you can find the best selection of property for sale in Sardinia, a great and update choice of real estate available at the moment in the Island. If you are looking to buy real estate in Sardinia we are able to offer you a wide choice of apartments, villas or holiday homes for sale in the best Sardinian destinations. In our website you can find also commercial, land and business opportunity. Move to Sardinia is the meeting point for vendors and buyers, a small network of several independent realtors based in the most famous locations of the island can offers you always the best solutions. Something that we really love here at Move to Sardinia is the respect for the environment, that’s why a big section of our website is dedicaded to the renovation of old properties, with the aim to turn them into a green houses with old charma. In the blog section you can find several information about real estate in Sardinia and not only, follow us on our social channels and you’ll find a section dedicated to news, events and Sardinian traditions. For everything else please do not hesitate to contact us. So stay tuned with the Sardinian World. Cheap apartment for sale in Sardinia, Valledoria, stunning sea view, beach nearby. 100mt from the sea, living-kitchen, 2 bedrooms, bathroom, sea view veranda. Apartment for sale in Castelsardo, a window open on the marina.